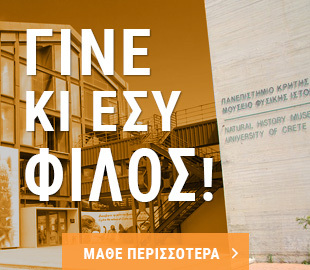 The Natural History Museum of Crete (NHMC) was founded by presidential decree in December 1980, and operates as part of the School of Science at the University of Crete. It currently comprises four sections: Zoology, Botany, Palaeontology / Geology and Mineralogy. Since 1985 strenuous efforts have been made to establish, enrich and classify the museum collections. At the same time, the aim has always been to create an exhibition space where the public can come into contact with the museum's collections and learn about the natural environment. To that end, between 1994 and 1997 we held five temporary exhibitions on the natural environment of Crete and the Aegean islands. In June 1990 the Museum acquired its first permanent exhibition space, in an 800 m2 building on Knossos Avenue. A milestone was reached in 2007, when the exhibition moved to the renovated former Heraklion Electricity Factory, located on Sophocles Venizelos Avenue by Dermatas Bay. The factory is a listed industrial building, which the Municipality of Heraklion granted to the University of Crete for museum purposes. It has five floors, with 3,500m2 of exhibition space highlighting the natural environment of Crete and the Eastern Mediterranean in a pioneering, innovative way. The NHMC exhibition has been designed in line with modern museum thinking, and is equipped with high technology applications, interactive exhibits and audiovisual media. It is a visitor-friendly area offering easy access to people with disabilities. In addition to the permanent exhibition, the museum hosts regularly changing temporary exhibitions, so as to offer visitors a range of new experiences. 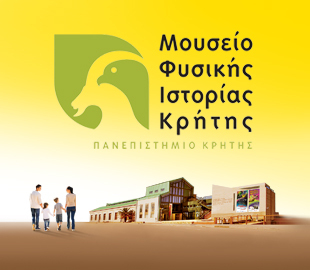 In 2012 the Natural History Museum of Crete won an Academy of Athens award, in recognition of its contribution to promoting scientific knowledge and public awareness on environmental and ecosystem protection issues. Two years later the NHMC was elected a full member of the Consortium of European Taxonomic Facilities (CETAF), a European Network of Scientific Foundations promoting education, research and understanding of biology and related sciences. CETAF comprises 35 national organizations, including the most important Natural History collections in Europe.